A new diner that offers vegan versions of classic American fare has opened for business in Ocean City. The fresh arrival, called Heart Beet Kitchen, is located at 801 Eighth St. This establishment also has a restaurant in Westmont. According to its website, the restaurant offers "gluten free, dairy free, peanut free, plant based, organic and locally sourced" food as well as seasonal five-course tasting dinners, complimentary yoga classes and wellness get togethers. Start your morning with the Tempeh Benedict, made with smokey tempeh, cashew hollandaise sauce and tomato, and served with potatoes and orange tahini kale salad. Looking for lunch? Check out the portobello burger with caramelized onions and sun-dried tomato pesto on a gluten-free bun. The diner also offers an array of smoothies, from the healthy Sweet Green -- kale, banana, apples, chia seeds, dates, protein powder and milk -- to the Cherry Chocolate Bomb, made with cherries, dark cacao, cacao nibs, agave, dates, almond butter and milk. With a 3.5-star rating out of 11 reviews on Yelp so far, the new diner is still finding its way, but it's early days yet. Seneca W., who reviewed the new spot on July 2, wrote, "We tried the pad thai and the eggplant meatballs. Both dishes were made with zucchini noddles, which I adore. The pad thai-type salad was delicious." 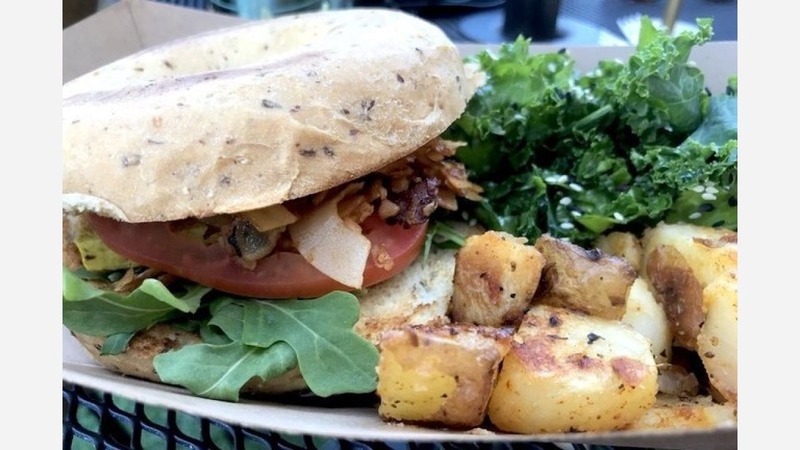 Yelper Kim E. added, "Best vegan food on the island. Such a nice addition and it's all gluten free. Favorite dishes included the brunch tofu sandwich and breakfast tacos." Interested? Stop by to welcome the new business to the neighborhood. Heart Beet Kitchen is open from 10 a.m.-3 p.m. on Monday and Sunday and 10 a.m.-8 p.m. from Tuesday-Saturday.